Poster by by Nedeljkovich, Brashich and Kumarich, to encourage subscriptions to the Industrial Worker, which publishing in Spokane, WA as the voice of the Western branches of IWW. Nedeljkovich, Brashich and Kumarich were publishers of artist signed postcards promoting Communist ideology. 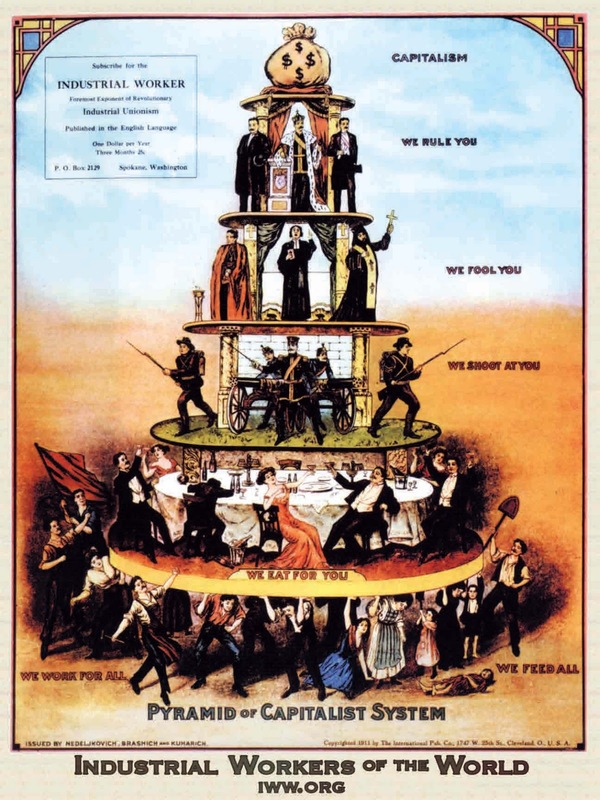 They are noted for their reproductions of posters exposing the evils of capitalism. 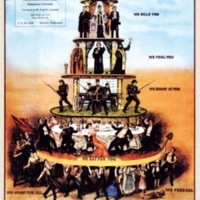 by Nedeljkovich, Brashich and Kumarich, “Pyramid of Capitalist System,” The Fist is Still Raised, accessed April 25, 2019, http://raisedfist.femmetech.org/items/show/16.